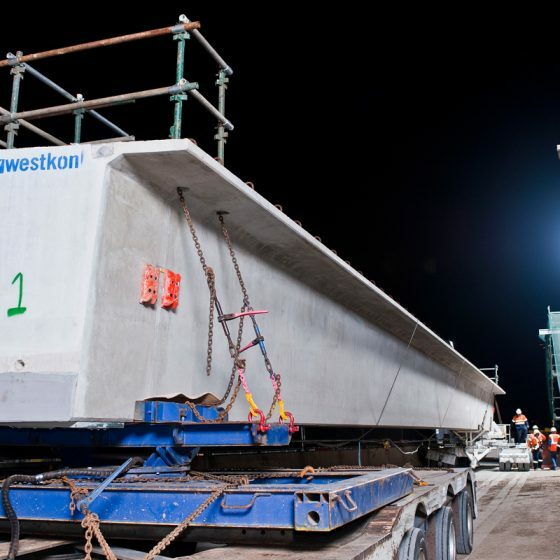 Westkon Precast thrive on challenges, combining innovativeness and experience to provide buildable solutions for major infrastructure undertakings like the Peninsula Link project. 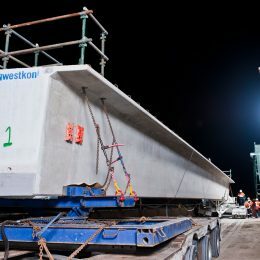 Westkon shop detailed and manufactured all the precast concrete structural elements for the projects many bridges, including almost 400 precast Super T beams, on-structure barrier units, bridge planks, parapets and off-structure barriers. 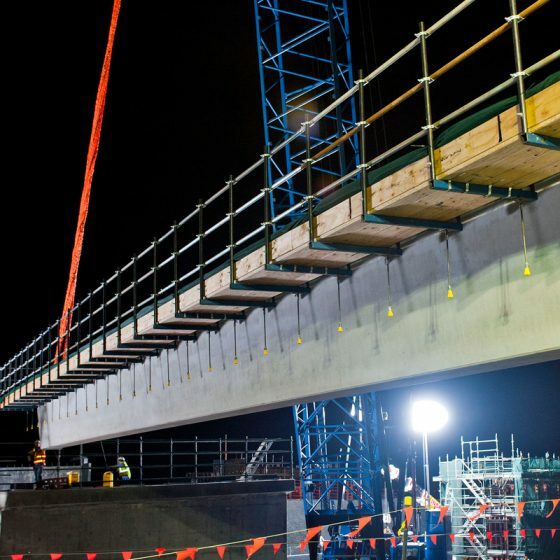 Both Westkon’s Melton and Sunshine facilities commenced casting for the project in December 2010, with the final installation taking place in August 2012. A pro-active approach was taken, with casting done in stages to dovetail with the overall works program. 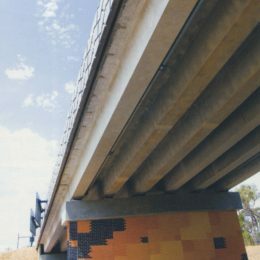 “The challenge was that each bridge was different,” said Westkon Peninsula Link Project Manager, Andrew Steer. “There were a lot of set-ups required, and we used an extensive range of moulds for the casting. 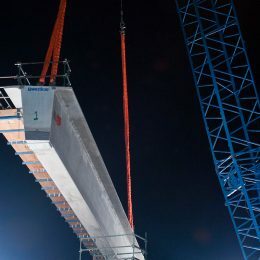 The beams varied in depth from 750mm deep to 1800mm, with the biggest weighing in at 96 tonnes and cast as single pieces. 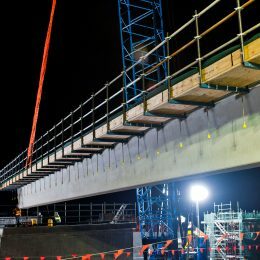 We stored a large number of the beams ahead of program at our yard, so we could accommodate changes in program requirements. “There were roughly 1200 no. 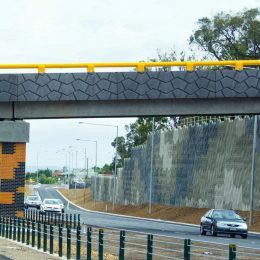 parapet on structure and off structure units in three different colour-controlled concretes. 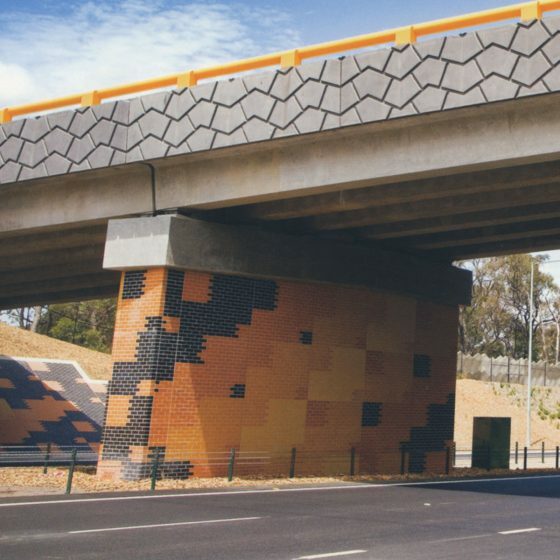 Many had an architectural patterned finish to the outside which is seen by motorists as they drive under the bridge. We ordered customised rubber liners in a whole range of sizes to achieve the required programme. projects. 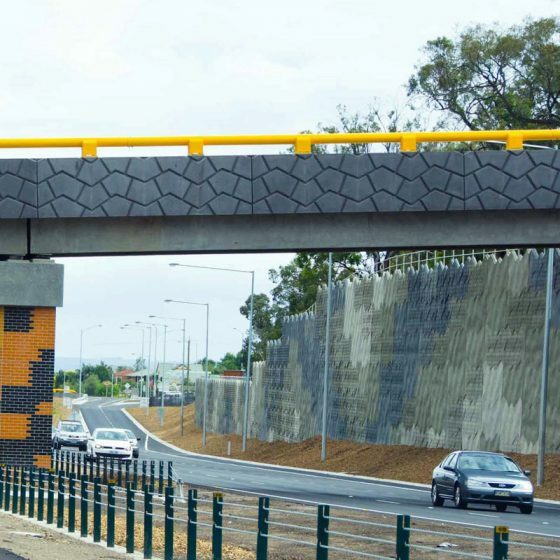 They hold prequalification for the State Road Authorities in New South Wales, Victoria and South Australia, and also the new National pre-qualification for civil projects. Their range of products includes HOLLOWCORE floor planks, prestressed bridge beams and planks, architectural and structural precast panels and columns, sound and traffic barriers, bridge off-structure and on-structure barriers (parapets), prestressed stadium seating plats, precast stairs and landings. As architecture continues to evolve new ideas, Westkon will continue to find ways to turn those designs into solid reality, creating precast solutions which can deliver cost-effective, high-quality, and long-lasting construction achievements.